Ritter Enterprises has been in business since August of 1995. We specialize in residential remodeling, historic renovation, and custom home building. We also do light commercial remodeling along with numerous other projects. 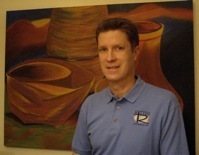 Ritter Enterprises relies on repeat customers and referrals from prior customers. We have spent the past 13 years in the Des Moines area building a reputation of customer loyalty, and trust. We hope you take some time to look around our website and our Project Gallery. Thanks for visiting!